Take a quick look into what the future would be under a socialist like Hillary. 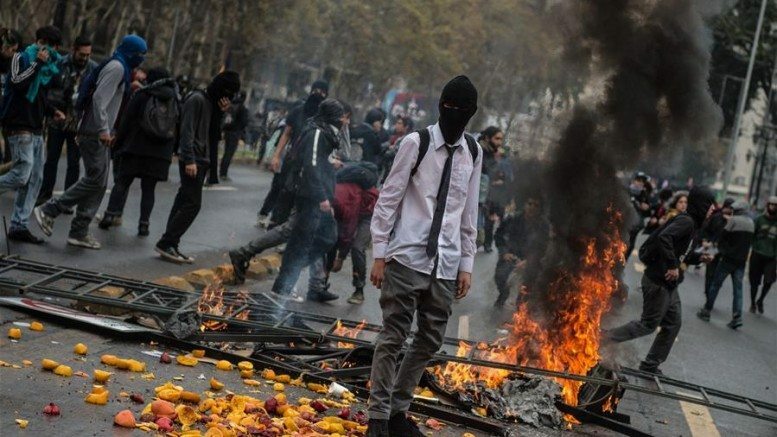 Watch as clashes break out between “protesters” and police in Santiago, Chile. This is not Baltimore, Maryland or Ferguson, Missouri YET! But given the opportunity this is what we could have to look forward to.